Walmart to pregnant women: choose between a healthy pregnancy and a job. For the holidays, Walmart is offering moms-to-be special deals on its selection of “work-to-wear” maternity fashions. 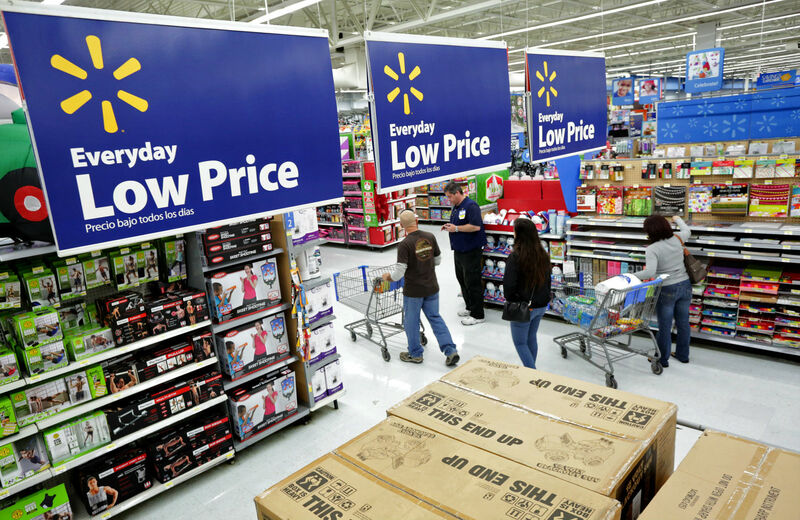 For its pregnant workers, however, Walmart is offering a raw deal. When working as a Walmart maintenance associate in Laurel, Maryland, during her pregnancy, Candice Riggins paid a heavy price when her cleaning duties started making her sick. According to a complaint filed with the federal Equal Employment Opportunities Commission, Walmart refused to accommodate her request for a new job assignment in order to protect her health, and eventually fired her for being too sick to work. Riggins’s troubles began in March, ironically, just as Walmart announced reforms to its pregnancy policy. Amid pressure campaigns by rights advocates, which had charged that the company systematically discriminated against pregnant workers in granting temporary disability relief, the company expanded the policy to explicitly include accommodations for “temporary disabilities caused by pregnancy.” But Riggins’s experience suggests Walmart continues to alienate, not accommodate, its most vulnerable pregnant workers. Over the next few weeks, Riggins made several formal requests to be transferred to cashier duties, but she claims she was passed over, while Walmart instead hired new workers for the position. Then, about thirty weeks into her pregnancy, waiting at the bus stop to get to work, she fell unconscious. The doctors again warned of the dangers of her job. But she worried about the dangers of losing the meager income her future family depended on. She tried to resume work the next day, but still felt ill and returned to the hospital. Her termination letter came a few weeks later in May, not long before she gave birth. So Riggins spent the first few months of her newborn’s life struggling with unemployment and, eventually, getting evicted from her home. I made it clear to my supervisors that I wanted to keep working and that I could do several other jobs well. I just needed to keep away from the chemicals, but Walmart said “No,” even though I know they gave light duty to a coworker of mine when he hurt his back. Finally, I was forced to choose between a healthy pregnancy and my paycheck. Riggins’s case comes during an important time for pregnant women’s rights. The Supreme Court is now weighing a major case involving the Pregnancy Discrimination Act (PDA) of 1978, one of the laws that Riggins accuses Walmart of violating. As we reported previously, the law’s protections have been eroded by inconsistent application over the years. It requires bosses to treat pregnant workers as they would any other worker in a comparable situation, with a medical condition or temporary disability: that should, in theory, give them access to modest accommodations like light duty (like the alternative cashier job Riggins had requested to protect her health), or basic job modifications (like the permission she had requested to do her job sitting instead of standing to ease the physical strain). It isn’t completely clear whether Walmart has concluded that Candis (and workers like her) don’t have pregnancy-related disabilities and thus don’t qualify for accommodation under their policy, or whether they have just failed to adequately implement their announced policy and that’s why she wasn’t accommodated. Either way it is a legal problem for Walmart. Workplace rights for pregnant women have expanded over the years thanks to the PDA, paid leave policies and parallel state level protections (Riggins’s complaint also cites Maryland’s pregnancy discrimination law). And federal legislation has been introduced to strengthen existing PDA rules on accommodating pregnancy-related conditions. Nonetheless, pregnancy still places a disparate labor burden on working-class women. In the pending Supreme Court lawsuit, a UPS worker claims she was unjustly denied her right to stay on the job when she was healthy and willing to work. Meanwhile, women like Riggins face significant pregnant-related health problems, but are often denied critical protections and are pushed to work in hazardous conditions. Many workers just want time off, but lack access to paid leave. These barriers disproportionately hurt working women of color and immigrant women. But Walmart’s women workers have launched strikes and protests nationwide to demand decent wages and benefits and a fair workplace for pregnant women, and it seems their request keeps getting denied. Even after the new pregnancy policy was announced, activists complained workers were being denied even basic accommodations on the job. These women don’t want best in class, just fairness. So although Walmart didn’t allow Riggins to sit down while working, more and more mothers like her are determined to stand up for their rights at work.